What to Consider Before Adopting a Shelter Dog? If you have made the choice to adopt a shelter dog rather than buy from a breeder, congratulations! Not only will you have a wonderful new addition to your family who will light up your lives with fun and companionship, but you will also be saving the life of an animal who might otherwise spend a lifetime in a shelter or eventually be forcibly euthanized due to overcrowding. 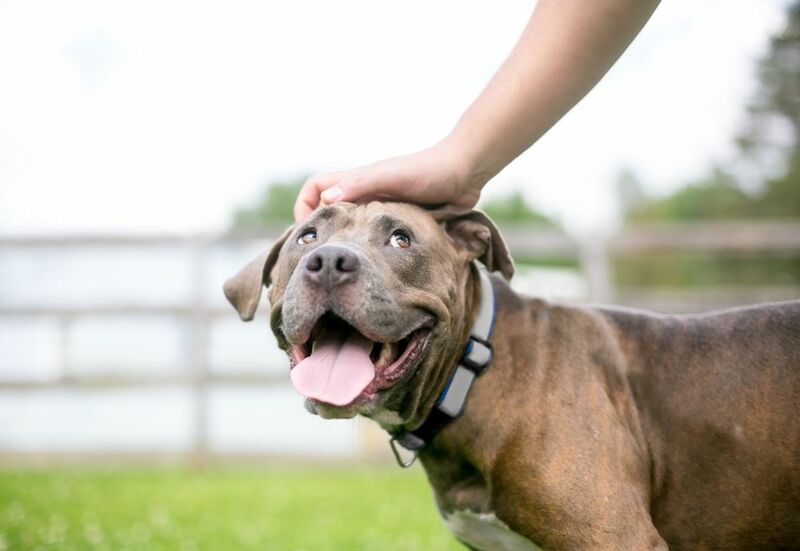 While the choice you have made is more than commendable, it is important to realize that adopting a shelter dog comes with many considerations. Not only is taking on a dog a tremendous commitment in itself, but the animal you are choosing may not be a puppy that can be moulded to grow with your family, but already have very ingrained characteristics that might not necessarily work with your family. According to the ASPCA, 3.2 million people adopt a rescue pet every year. If you are going to be one of them, here is our guide to what to consider before adopting a shelter dog. As we mentioned above, possibly the hardest thing about adopting a rescue dog is not knowing anything about his temperament or personality. While the shelter may be able to give you an indication based on the behaviors that they have seen, how your new dog reacts in your home, which is a world away from what life is like at a rescue shelter, could be entirely different. Ergo, for a good while the behavior of your new dog will be unpredictable at best. This means that you may not be able to leave your children alone with him for a good long while and will need to err on the side of caution until your new pet is fully comfortable in your home. While your new furbaby may have been trained initially, almost all shelter dogs have lost a good degree of their training once they move into their temporary accommodations. A lot of this is learnt from other animals who may have bad habits, such as urinating in the wrong place, chewing things, nipping and jumping up. Fortunately, with time and a truckload of patience, you will be able to train your dog to adhere to your house rules. While this may not sound like a major concern initially, some rescue dogs have such ambiguous pasts that it will be impossible for a vet to track his exact roots. This can be a problem since puppies and young dogs can be very different in size and temperament to how they will be when they reach adulthood. Some breeds aren’t appropriate for families with small children or other pets in the home, while some might grow an awful lot larger than you expect. If you really are stuck on trying to rescue a specific breed, try and find a local rescue group that focuses on rehoming your chosen breed rather than going to a general animal shelter. Again, many shelter dogs have a sketchy past and this may mean that the shelter or your vet may not be able to track down your chosen canine’s medical records. This can be concerning as some breeds are prone to certain health problems, and there might be no way of knowing about any wellness issues he may have had in the past. We recommend that you get your pet checked over by a vet as soon as possible after you bring him home and get your insurance in place should any unexpected veterinary bills arise. While not all rescue dogs have been abused, most have experienced some degree of trauma during their lifetime that makes them very different to other animals. Many are more anxious or nervous than is considered normal, and while some could crave love and attention, others may be significantly warier and take a long time to behave like they trust you. Every animal is unique and while his past may make some aspects of his care more challenging, we firmly believe that there is little more rewarding than forming a strong, loving bond with a dog you have rescued from a shelter. If you would like more advice on what to consider before adopting a dog from a shelter, our experienced veterinary team would be happy to talk things through with you. Please do not hesitate to telephone our offices.